The ancient city of Guk has rarely known peace, and never for long, but it is not just hostile tribes of trolls or zealot frogloks vying for ownership of its labyrinthine halls. Within the depths of Guk, the Unseen Arcanum still thrives, and the curse of Ykesha threatens all with undeath! Whether motivated by religious conviction, vengeance, or treasure, few have ever returned from within its corridors. Increased the experience multiplier for encounter tier, encounter number and quests on the Fallen Gate server. Decreased the bonus experience multiplier for current expansion zones on the Fallen Gate server. Hegrenn and Vhishall, the furniture merchants in Qeynos and Freeport, are now selling "a large rectangular crate". Hegrenn and Vhishall, the furniture merchants in Qeynos and Freeport, are now selling "a small square bowl," and "a wooden bowl". The minimum duration has been lowered from 18 hours to 6 hours. The minimum duration has been lowered from 3 hours to 90 minutes. Grummus' "Brutal Disease" spell has had its casting level changed to 117 to allow non-priest curing. Grummus' "Festering Blast" spell has had its casting level changed to 117 to allow non-priest curing. Grummus' "Gut Check" spell has had its number of increments changed to 1 per cast. Corpulus' Toxic Vines spell should now be cast at level 117 allowing non-priest cures to remove it. The Manaetic Behemoth's "Gas Leak" ability should no longer be applied as multiple increments. Due to this, the damage growth of the spell has been increased. Siphoned Fervor and Trained to Battle runes should no longer interfere with blocking certain powerful abilities cast during the Solusek Ro encounter. Updated Dozekar's Resilience, Scaled Protection and Reprieve to heal based off of a percentage of the casters maximum health, and update every six seconds. Dexterous Sonata will now increase the Fervor of all profession abilities instead of Crit Bonus. Shaman and Sorcerer mana heals are now percent based. More Cowbell now has the passive Mounting Malevolence effect. Crit Bonus Overcap has been increased on tier 2, 3 and 4 raid armor by 45%. Amarat the Procurer will now sell Heirloom Packaged Astral Eye of the Prophet and Packaged Thanatorse, the Festrus King to characters who have earned them for platinum, status, and Greater Tears of Ro. Cincture of Draconic Rites - Item name is now spelled correctly. Girdle of Draconic Rites - Item name is now spelled correctly. City linguists now sell Mysterious Black, Red, and Green Tomes to those who have completed the corresponding 'A Mysterious Tome' collections. City sages now sell 'Consequences of Thralldom' to those who have completed 'Lore and Legend: Gruengach'. City sages now sell 'Vishra's Letter' to those who have completed 'Darkness Ascending: Tear in the Drakelands'. Chokeballs now rely on descriptions instead of itemset labels, as they need not be equipped and provide no set bonus for doing so. Heartseeker recipes now spelled correctly. Glyph-gilded Armguard is now spelled correctly. Added the a chance for all Planar Mission Reward Crates to drop the Illegible Scroll's previously only found within Hate is in the Air [Heroic] and Manure's in the Air [Heroic] mission crates. An Adjustable Training Monkey has been added to the marketplace as well as the Loyalty Merchant Tark Validus and Bounty Hunter's Union Merchant Hunter K'Andal. When initially placed the Adjustable Training Monkey will set its level to 7 levels above the casters level, it's tier to Epic and apply Raid level mitigations. Once placed, the Adjustable Training Monkey may have its tier, mitigations, and encounter number adjusted by the caster. 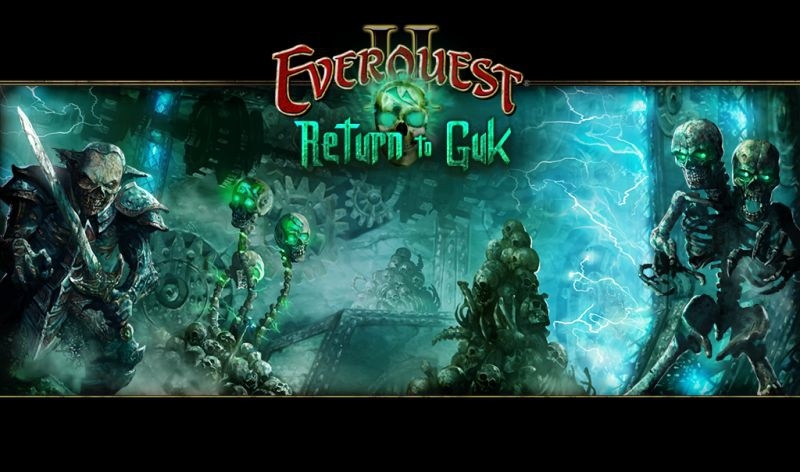 Right in the Nose - Players who delete the quest after fighting Annuk'ka will no longer have troubles speaking with him again, after regaining the quest. The Truespirits' Lament - Defeating Ral-Gatha in one hit no longer breaks the scripted event. Flames That Cannot Die - Firelord Kaern will now drop the Everburning Coals if you lost it before you were able to create the greater orb of the everliving flame. Teacher Conference - Taliseda's appearance is now more reliable, and has a quest update icon when appropriate. For the Voice She Once Had - Quest journal's instructions to return to Nejevani are now accurate. Cleaning Up the Mess - Quest journal now gives Nasin's accurate location. Into the Unknown - The Duality now tells the player if they need to regain "What Lies Beneath" or if they need to advance it, in order to use his portal. Believe in Me - Deletion of quest now removes "Grazyk's Anatomy" from player's inventory. Bloodskull Disruption - Attempting to destroy the Bloodskull supplies without explosives now results in an onscreen message. Bloodskull Disruption - Deletion of the quest now removes any explosives from player's inventory. Bloodskull Disruption - Advancement now removes any extra explosives from player's inventory. The Fate of Norrath - The initial four quest updates are easier to see now. The Fate of Norrath - Deletion of the quest now removes the Lucan Moppet from player's inventory. (More information after the jump).